Send invoices and get paid faster. Workspoke automates your back office and gives you more time to do what you love! 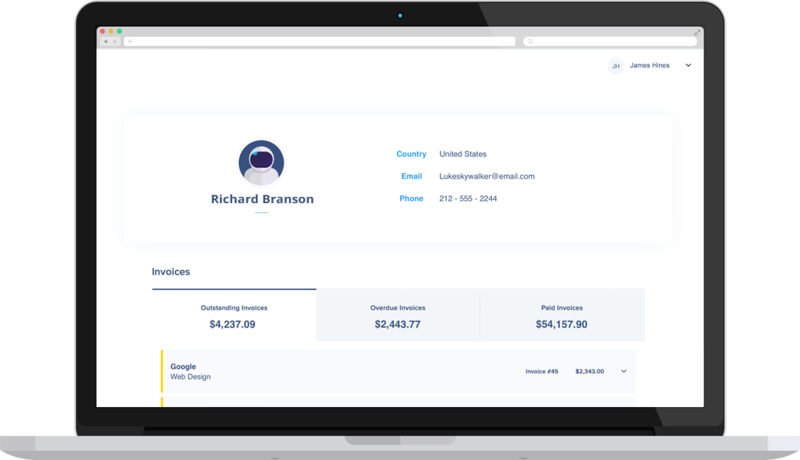 Create globally accepted smart invoices for your work using free templates. Never go wrong with billing again! Store all the information you need to bill a client on the Workspoke dashboard. Stay organized always! Get paid faster with integrated payments via credit card, ACH, PayPal, Payoneer or bank wire. No matter where you’re located, always get paid on time! Enable your clients to pay directly from the invoice via credit card, Paypal, bank transfer, Payoneer and more. Never lose track of your invoices. Keep a smart record of all the invoices generated and track your payments on Workspoke. Remind clients who haven’t made payments automatically. It’s always good to send reminders to avoid delays! Freelancers using Workspoke get paid 12 days faster and have 3x lesser late payments. Exactly what you want, right? Our support helps you tackle all your issues and is always ready to help. Send your project files and timesheets attached on your invoice fro your Dropbox and Google Drive. SSL data encryption(same as online banking), daily encrypted data backups of your data to prevent data loss. Put your freelancing on autopilot and love Workspoke forever! 2017 Workspoke. All rights reserved.